Tripp is an experienced project manager and design professional who brings over 30 years of project management experience to KPC. Tripp joined KPC after spending 40 years with Alsbrooks Architects Inc., ten of which he served as President of the firm. In this position, Tripp was responsible for designing and project management of a variety of facilities, including 500+ telecommunications facilities for AT&T located throughout the Southeast. 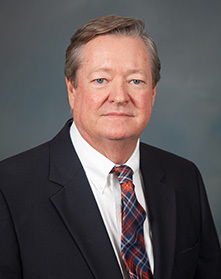 Tripp also gained experience completing various other government, commercial, mixed use, and education related design and construction projects. His experience with a variety of project types and sizes is an asset to KPC. Tripp’s excellent organizational and communication skills, as well as his strong understanding of both the design and project management processes make him an excellent leader for KPC’s project management team.